Frankfurt-am-Main is a city where the old and new mix very freely. An historic city with a rich heritage and many buildings that have survived down the centuries, mixed with the most modern. In this buzzing city there are numerous 14th and 15th century buildings in the Romerberg district, the historic centre that now lies alongside the neighbouring downtown on the banks of the Main, with its array of towering skyscrapers that gives Frankfurt its nickname of Mainhattan. Visitors to the city of contrasts will come for many reasons, but with both the German stock exchange and the European Central Bank based here, a lot will do so for a business trip, albeit one that can be mixed with a little pleasure in such a fascinating place. 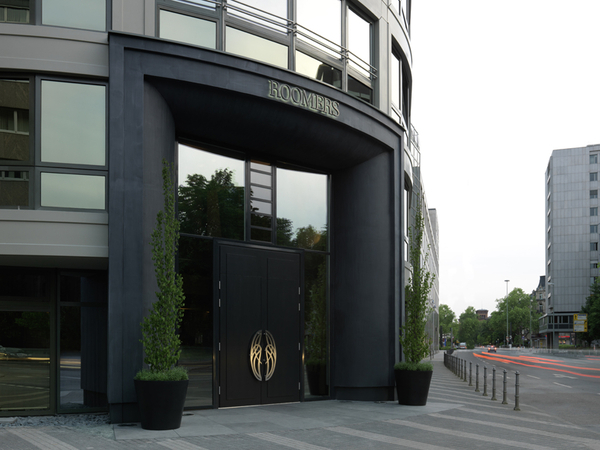 Roomers Frankfurt is a hotel that fits perfectly with this melting pot of modern and traditional. The rooms themselves are modernity personified, with steel, natural dark stone and ambience lighting arranged in clean, neat lines to create a perfect environment, with views across the most impressive city centre skyline in continental Europe. Add in air conditioning, large beds and Wi-Fi and the rooms are the ultimate in state-of-the-art comfort. The Superior Rooms are a particular delight, with queen-sized beds, a mini bar, flat-screen TV and an open-air patio just some of the splendid features on offer. Whatever the purpose of the trip, the location of Roomers so close to Romerberg - which lies just to the east – means visitors can revel in the historic urban setting. This includes a number of timbered houses, plus several museums charting the history of the city. Other must-see buildings include the gothic cathedral, with a tower visitors can climb, while St Paul’s Church is another important ecclesiastical building as it was here in 1848 that the first democratic parliament in German sat – before there even was a Germany. Riverside walks are also highly recommended, with Eiserner Steg being one of the most historic bridges to cross and the Sachsenhausen district on the south bank being famous for its cider bars. These are just some of the things that can be enjoyed while staying in this modern hotel amid so much history.